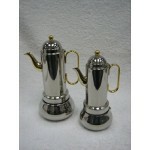 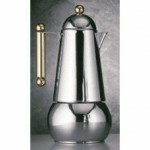 Avanti's Art Deco Espresso maker not only ensures brilliant coffee every time, but also provides ..
MUSA BIALETTI MUSA - STAINLESS STEEL Brand: BIALETTI Simple Eleganc..
BIALETTI CLASS BLACK Brand: BIALETTI Bialetti Class Black, with its classic, fun..
BIALETTI COFFEE SET 4 CUP STOVE TOP PERCULATOR 4 ESPRESSO CUPA AND COFFEE TIN A..
ITALIAN ALIMINIUM PERCULATOR SET TRAY 4 CUP PERCULATOR MILK AND SUGA.. 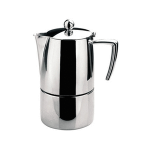 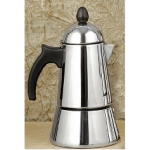 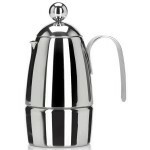 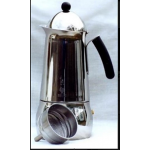 This is the stainless steel version of the Moka Express – long lasting, durable in its cons..
MONICA WOOD HANDLE Brand: 3B · Stainless steel 18/10 coffeemaker.. 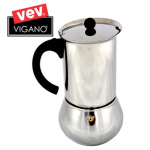 Product SKU: GAT 1032 Colour(s): stainless steel Product Description:..
highest quality 18/10 stainless steel special boiler design allows valve to ..
Beautiful "Cherrie" stainless steel stovetop espresso maker combines a classic round d..
Vev Vigano Carioca Nero 12-Cup and 6-Cup Espresso Maker: The Vev Vigano Carioca stainless st..
GB Kitty Oro Gold - Made in Italy Stainless steel with electroplated gold handle a..
G.A.T. 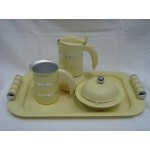 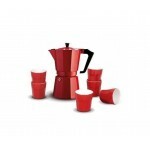 "Konica" stovetop espresso maker features a heat resistant silicone handle and knob. 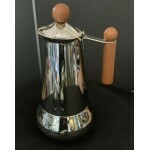 K..
Our beautiful "Gilda" stainless steel stovetop espresso maker combines a classic round design wit..
PEZZETTI THE REAL ITALIAN COFFEE PEZZETTI IS ALEADING STOVE TOP COFFEE MAKER ..
ur beautiful "ITICA"is made by Vev-Vigano in Italy and features a mirror-like high polished 18/10..
Our beautiful "ITICA"is made by Vev-Vigano in Italy and features a mirror-like high polished 18/1..